The National Working Committee (NWC) of the All Progressives Congress (APC) has dissolved the State Executive Committee of the party in Kwara State. 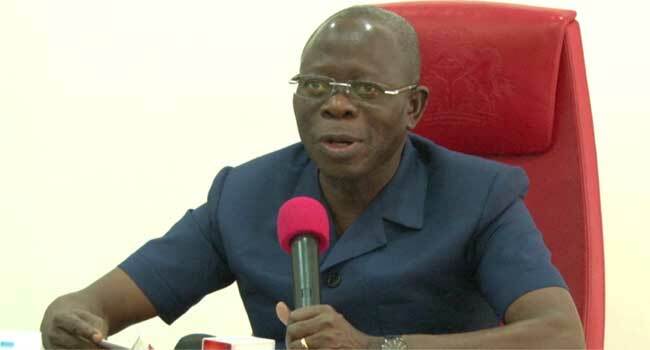 The party revealed this in a resolution signed by the APC National Chairman, Adams Oshiomhole, and the party’s National Secretary, Mai Mala Buni, at the end of the NWC meeting held on Monday in Abuja. The resolution read, “The NWC at its meeting of July 30, 2018, examined the unfolding developments within the party in Kwara State, specifically the irregularities that characterised the conduct and outcome of the congresses that produced the leadership of the party at all levels (ward, local government and state). “The committee also reviewed the actions of some of the leaders of the party that emerged from the above congress who participated in an open rally calling on the Senate President to decamp to the PDP. The APC leadership consequently appointed a caretaker committee led by Bashir Bolarinwa to head the State Executive Committee of the party in Kwara, while caretaker committees would be constituted in the wards and local government areas. The appointment of the Chairman of the Caretaker Committee of the Kwara State Executive Committee takes immediate effect.